Kirumira collects 150 witnesses to Pin Former boss Kayihura . HomeSocial Media woloksKirumira collects 150 witnesses to Pin Former boss Kayihura . 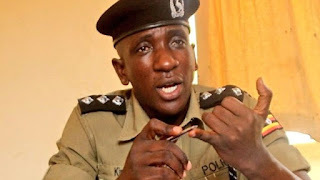 Former Buyende police commander Muhammad Kirumira seem never at peace with his boss free. While appearing at a local station radio talk show, the fear less and criminal hunter police commander Kilumira, said he is almost done with collecting his witnesses who he said he is going to use to pin and crucify his former boss Kale Kayihura over inhumanity acts he did along his associates during his tenure as the Inspector General of police. He said, I have found an association of all Ugandans who were tortured in Nalufenya since 2014. I have collected my evidence and over 150 witnesses who are going to crucify Kayihura in courts of law over inhumanity acts. He also said he is going to move door by door collecting opinions across the country on Nalufenya detention Centre , its acts and what should be done to the bosses at the time it seemed hell to inmates and in the hears of Ugandans at large. On where he will get financial aid to sue his former boss and also find plan b for his association, he said he has already consulted several ambassadors of the western powers which powers have promised full support. ‘… Many innocent lives will never forget Nalufenya until death. Look at a person like Galabuzi who lost his manhood for no reason. Am planning something big for all Nalufenya ob’s and OG’s and whoever was behind our human rights violation will pay for it ‘ Kilumira added. He also warned bean weevils in the force to be on standby since him anytime he will be back in part two..